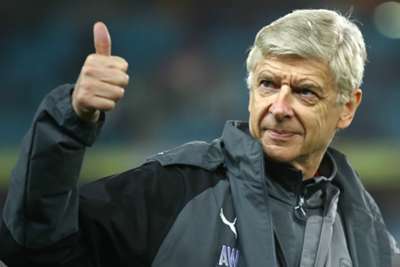 Arsene Wenger expects to be back in management by January after attracting interest "from all over the world". The Frenchman's 22-year spell with Arsenal came to an end when he took charge of his final Gunners game in May this year. Asked if he was primed to take up a new role, Wenger told Sport Bild: "Yes, it looks like it. "I believe that [I'll] start again on January first. I don't know [where] yet. I am rested, and I am ready to work again. "There are associations, national teams; it could be also [in] Japan. "Thanks to my 22 years at Arsenal, I have big experience on different levels. There are enquiries from all over the world." Wenger also spoke out on Arsenal star Mesut Ozil's decision to stand down from international duty after claiming to have been the victim of racism. "I did not love it that he withdrew from the Germany team [because] the Germans respect what he achieved," he said. "A small bit of motivation disappears when you know that you don't have to be ready for a World Cup, a European Championship. "I love it when the players are as good as possible. He loses a bit if he does not play at an international level."